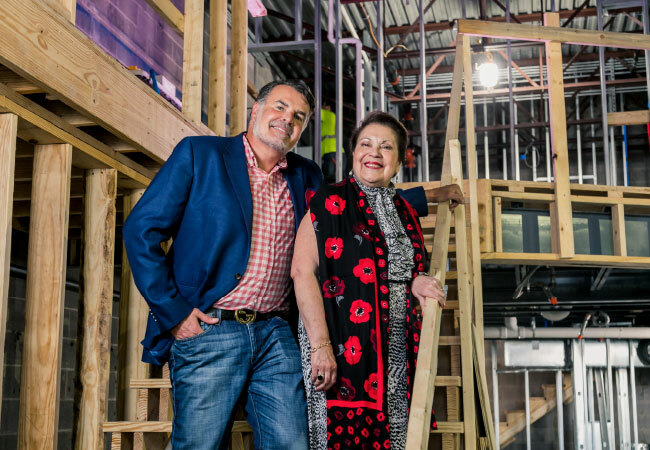 With his fifth local restaurant set to open in Holiday Manor next month, Kevin Grangier realized his dream ofcreating an unforgettable Italian dining experience and adopting the perfect Italian grandmother to help him do it. 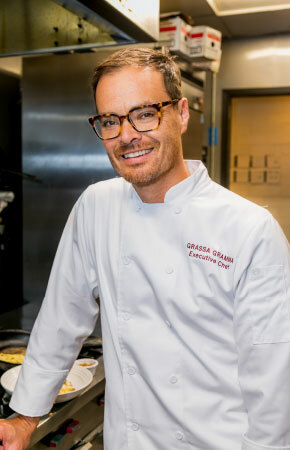 Kevin Grangier’s many trips to Italy have left him with a delightful impression that he’s transforming into his newest restaurant, Grassa Gramma, scheduled to open in late summer. “I think of a traditional Italian meal as one you would have in a grandmother’s Tuscan kitchen. To me, that’s authentic Italian and that will be what Grassa Gramma is about. Gramma, loosely translated from Italian, means grandma and grassa means plump. The name goes to the jovial grandmas at the kitchen stove with a big bowl of pasta and a big wooden spoon. I envision a happy, plump, healthy, good-natured, spunky grandma. I felt like I could build a brand around it,” says Grangier, who also owns Le Moo, The Village Anchor and Kevin’s PICNIC. Grangier held a “Search for the Grassa Gramma” at Oxmoor Center. 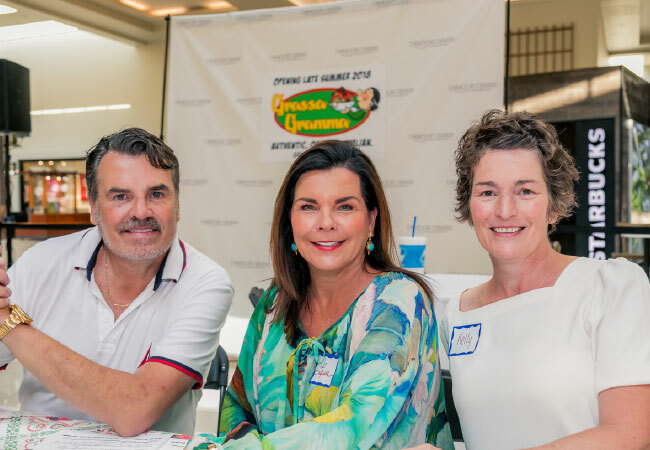 The winner, Maria Poff, will be the face of Grassa Gramma during opening activities and promotions. He tasked Executive Chef Rob Rice to develop a traditional menu of an assortment of cheeses and dishes such as pasta Bolognese, meatballs, pizza and Italian desserts. The wine list will be strictly Italian. In the usual Grangier style, the restaurant will defy any notion of typical or expected. He describes Grassa Gramma as experiential, combining food, drinks, service and a unique environment. Rather than taking a traditional approach to designing the three-floor interior, Grangier has created what he calls a gothic sort of space with a Renaissance feel that’s elaborated with twenty-foot ceilings, murals, bronze fountains, marble statues and Italian streetscapes. The interior reflects a diverse collection of items he sourced on 20 trips that took him from Maine to New Mexico. 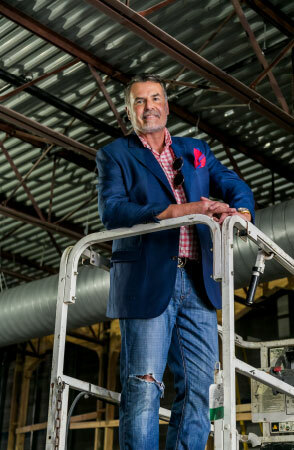 Grangier is a savvy businessperson who regards any restaurant other than one of his own as a competitor. He believes the unique qualities of Le Moo, The Village Anchor and Kevin’s PICNIC are some of the most important contributing factors to the restaurants’ drawing solid crowds, adding that his customer base grows with each new concept. You and Kevin Grangier have been collaborating on the Grassa Gramma menu. We don’t expect you to give away all your secrets but give us a few hints. Pastas, all made in house, and pizzas will be the driving force of the food but we’ll also do some seafood and will have a wood-burning grill for steaks. We have a beautiful wood-burning pizza oven and are culturing our own starter for our crust. And we’ll have an antipasti section with fresh, local produce. Before you moved to Louisville, you worked with Wolfgang Puck. That’s an impressive credential. I felt two feet tall when I was around him. He inspired me and motivated me to be a better person and a better chef and restaurant manager. Your life in California also included another interesting position. I worked at a mission on Skid Row in Los Angeles. That stands out as the most dynamic, thrilling, depressing and positive experience of my life. Do you feel as if you have a plump Italian grandma looking over your shoulder when you cook? I love the idea. Anything that brings excitement into my life, I’m all for it. But I’m kind of terrified to think the Italian grandma will be tasting my Italian gravy. Are restaurant kitchens as crazy as they’re sometimes portrayed on television? There was a time when kitchens were like that. I came in on the tail end of it. That’s not how they are anymore. They’re a pressurized environment, but the days of screaming and throwing things are over. And that’s sure not the way I run my kitchen. What are the most overrated dishes that are trending on restaurant menus? Brussels sprouts and kale. I like Brussels sprouts as much as anyone but I’m not going to pay $13 for a plate of them. Are you a fast food demonizer or do you sometimes indulge? It’s not in my wheelhouse to eat junk food. But it’s not because of health reasons. I prefer to waste my calories on potato chips. Let’s make believe you’ve won the lottery. What’s the first thing you’re going to do? Build a cul de sac with a bunch of homes and move in all my best friends. If you could have dinner tonight anywhere in the world, where would it be? And with whom? I know it sounds cheesy, but it would be with my dad. He has the best one liners and lessons in life. He was diagnosed with cancer about a year-and-a-half ago. That’s where my heart is now. We’d probably to go to Bouchon in New York.